Hi and welcome to WriteMaps!! WriteMaps helps you create visual sitemaps and gather early-stage content ideas for your web project. Check out a short video, or the screenshots below it, to get started. 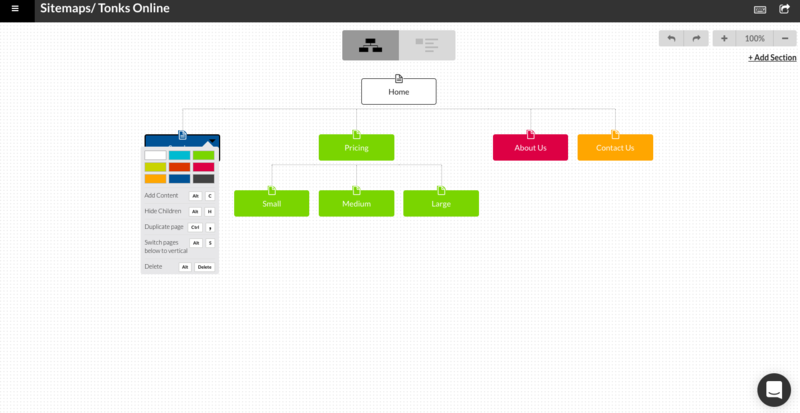 From your sitemaps page you can open an existing sitemap, or create a new one. 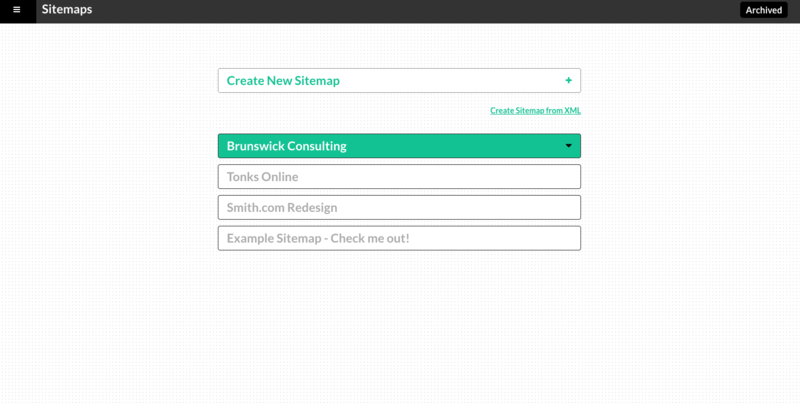 In the Sitemap Builder you can add pages, name them, and change their color. 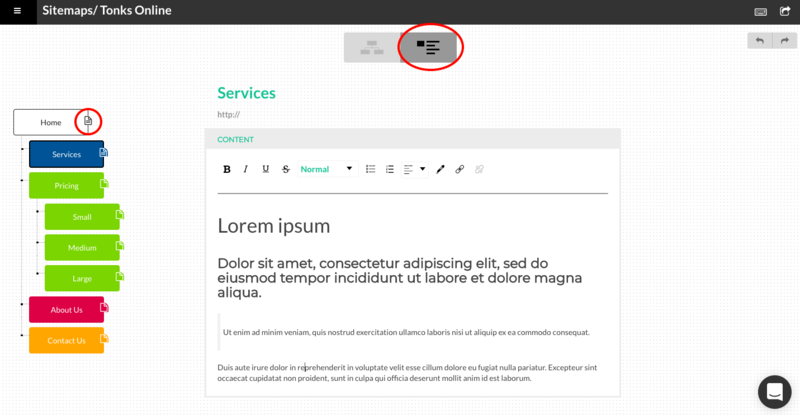 Click the content view tab (top middle of page) or the content icon above each page to easily add content and notes for each page. Paid users can download the visual sitemap as a PDF file, or Share it via a unique URL. Sharing can be editable or view-only access.